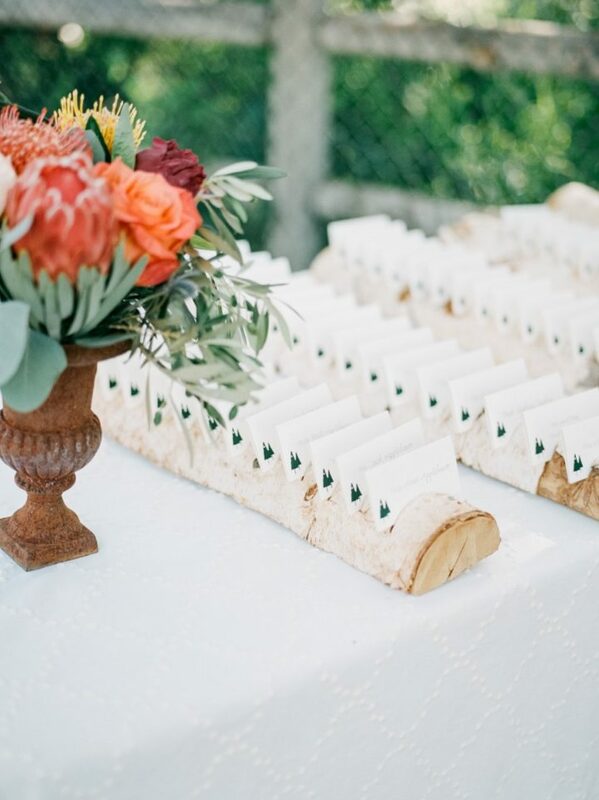 There’s so much stunning scenery in this Sun Valley wedding from Kendra Elise Photography! 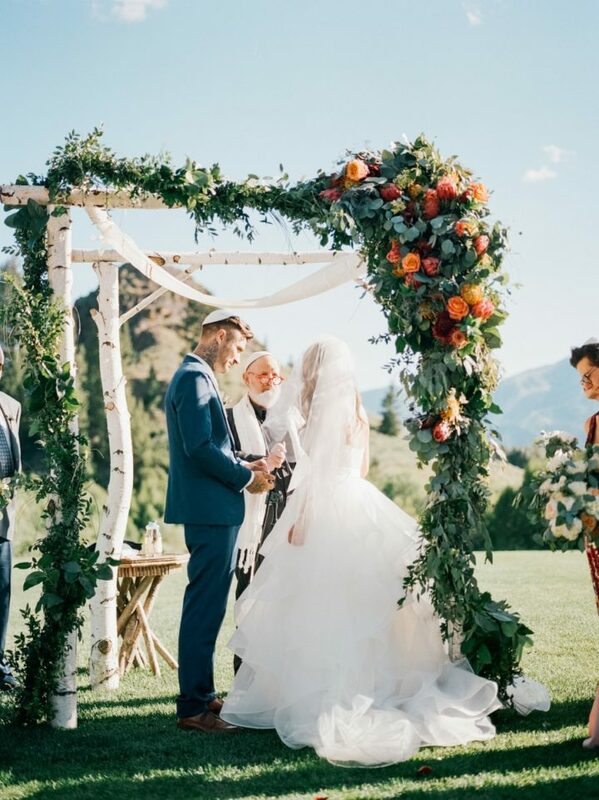 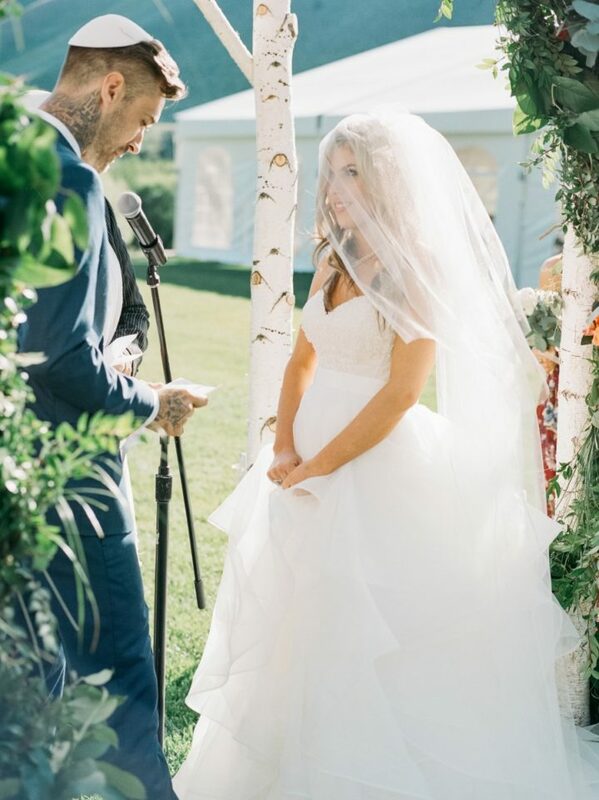 We can’t tell what’s more gorgeous — the majestic mountains in the background or the greenery covered ceremony chuppah? 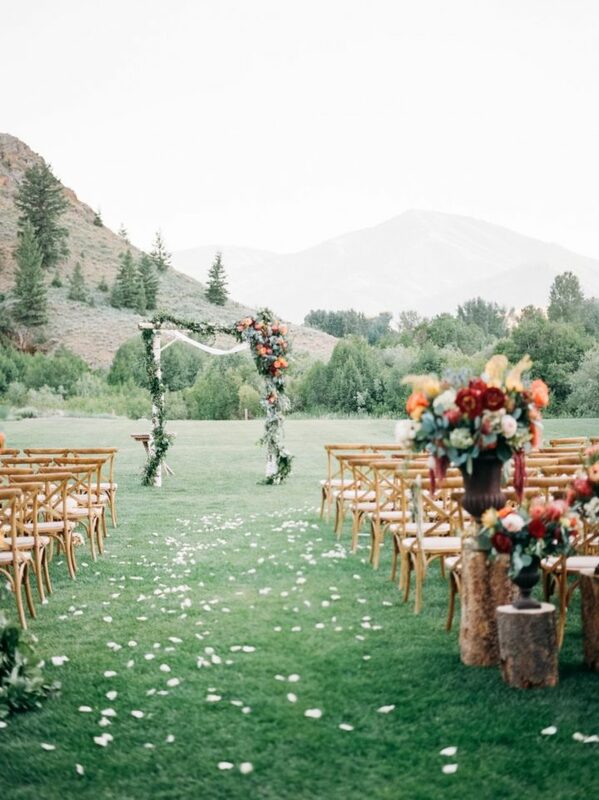 Trail Creek Cabin was the perfect spot to capture the prettiness of the gorgeous Idaho landscape. 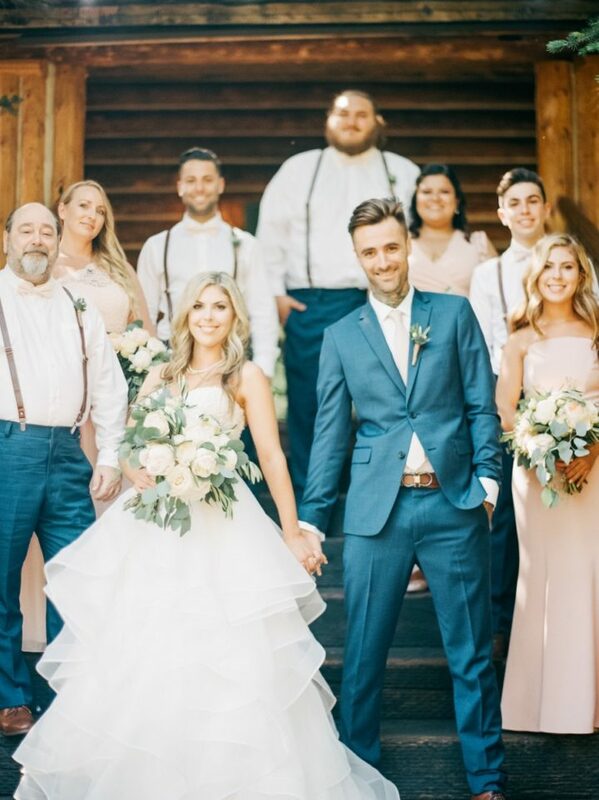 Leave it to the bride in her statement Watters ball gown to completely enchant us all, she stuns in a natural wavy hairstyle and dainty pearls to let her cascading gown do all the work. 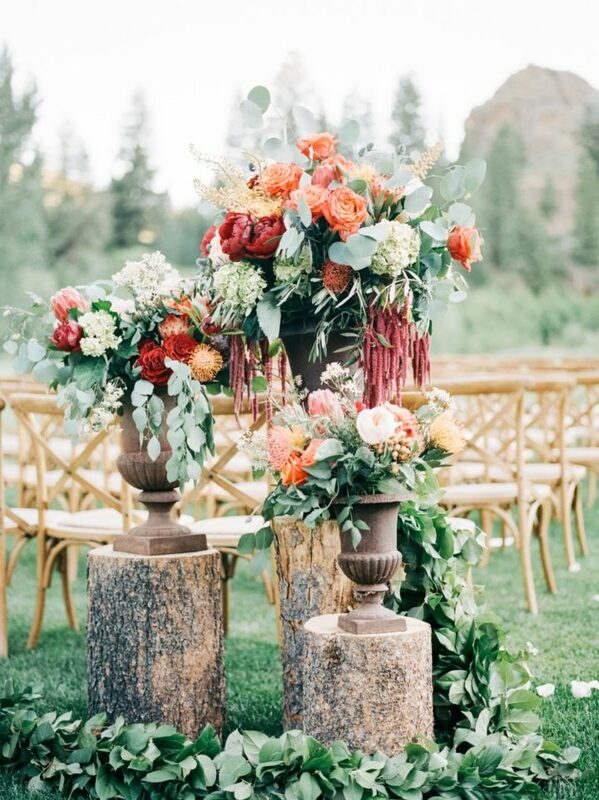 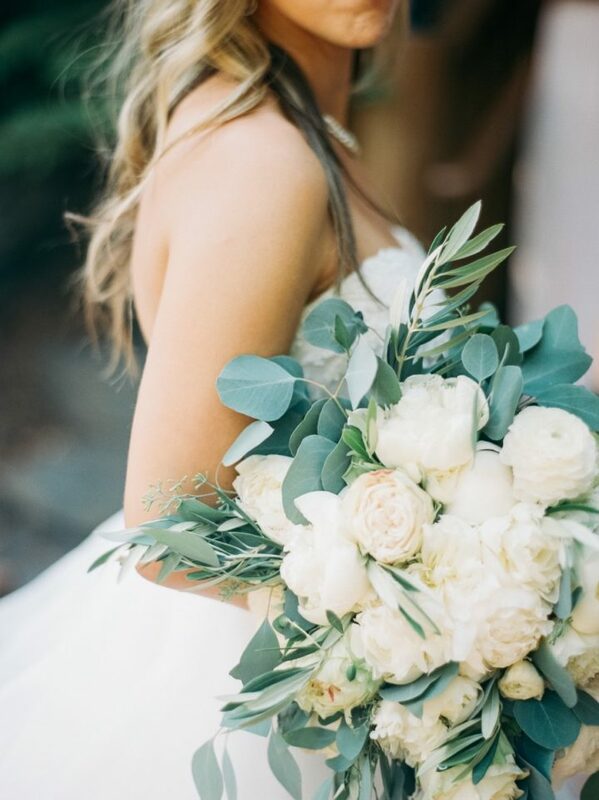 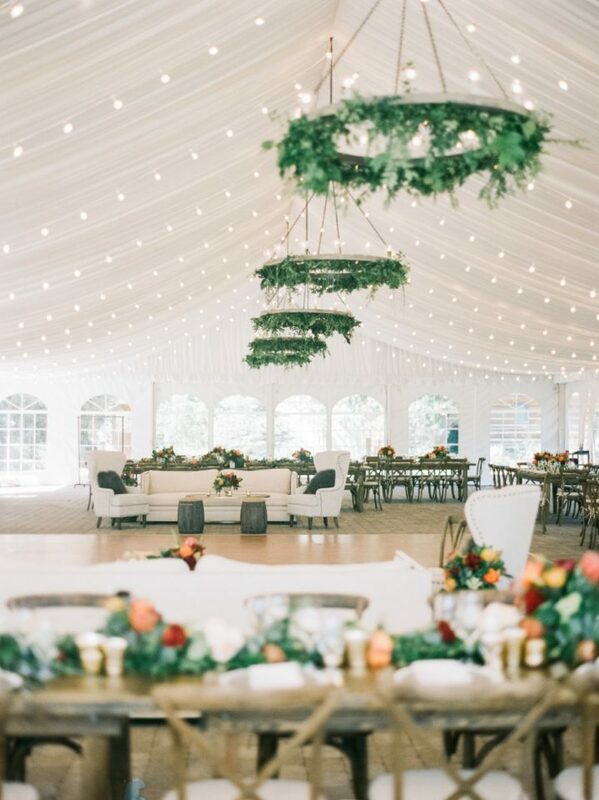 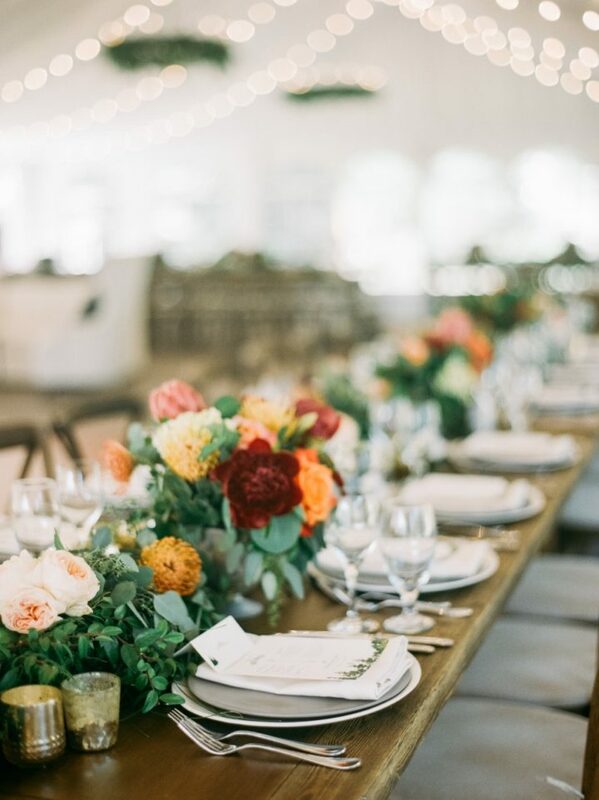 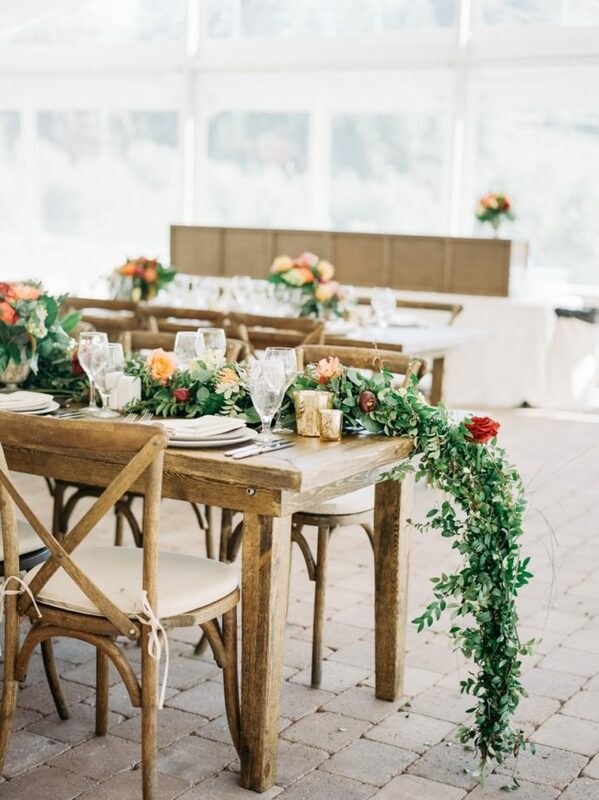 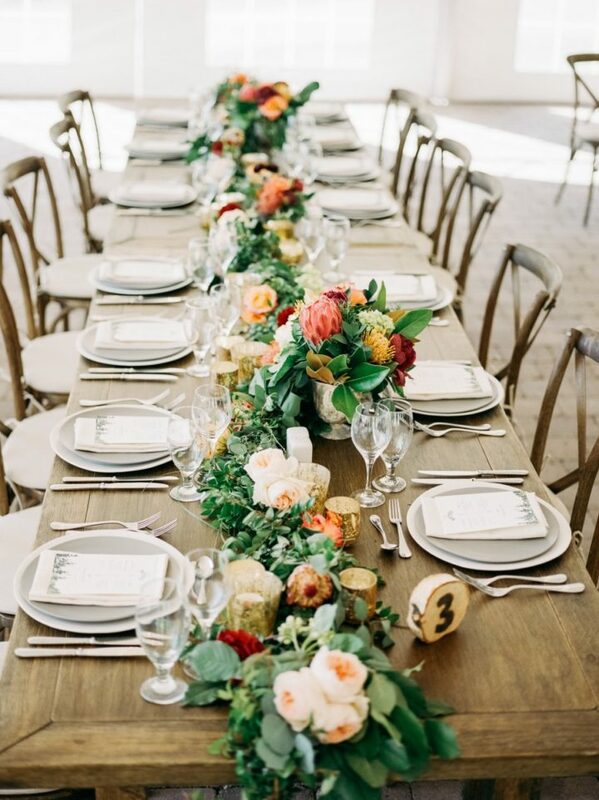 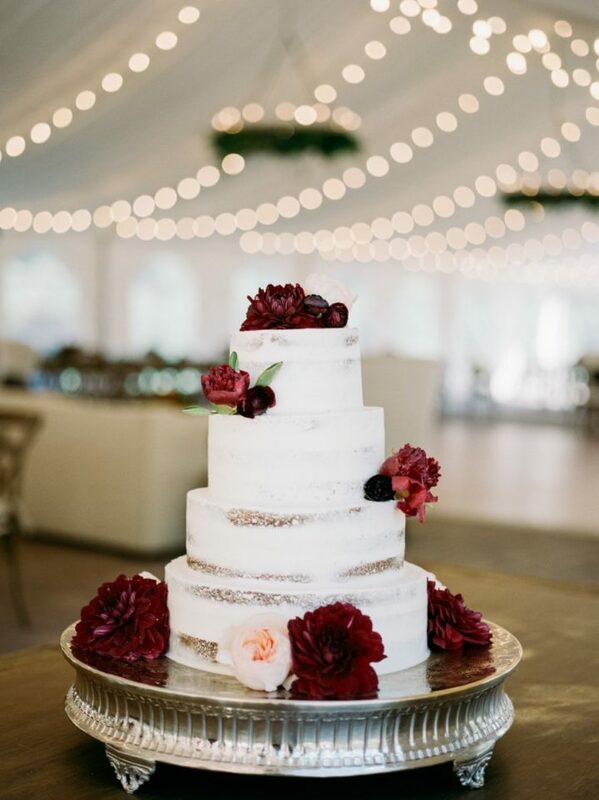 This elegant celebration is covered in lush greenery, so the romantic warm toned floral color palette really added fun pops of color with red, orange and blush flowers from Tara Bella Flowers. 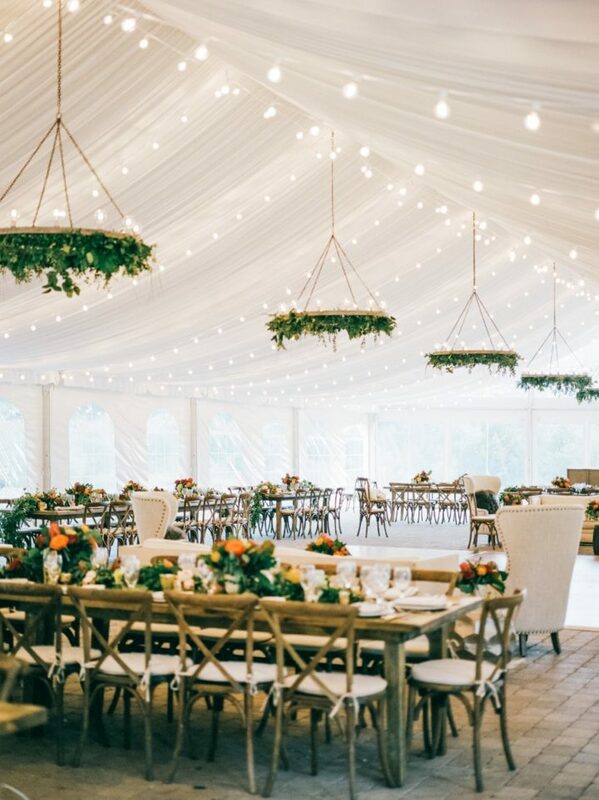 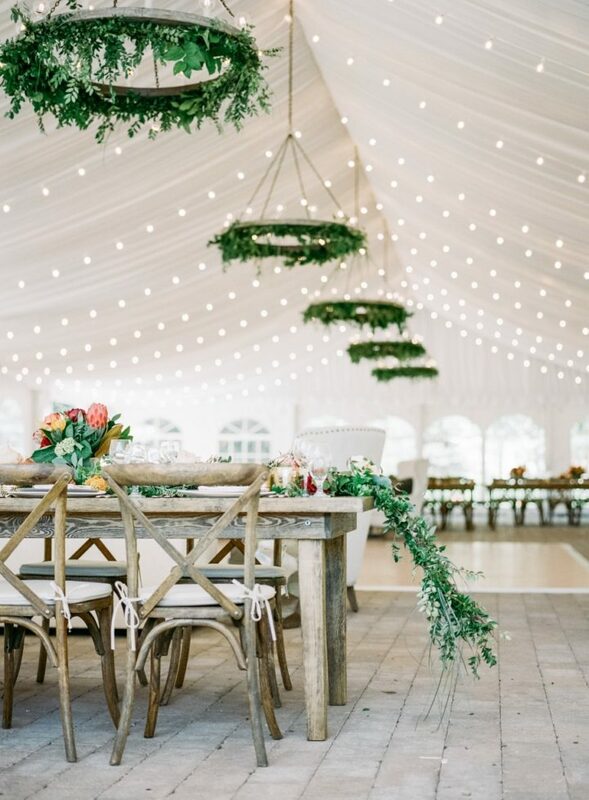 The reception turned into a white tented affair with twinkling lights, hanging decor and chic wooden details. 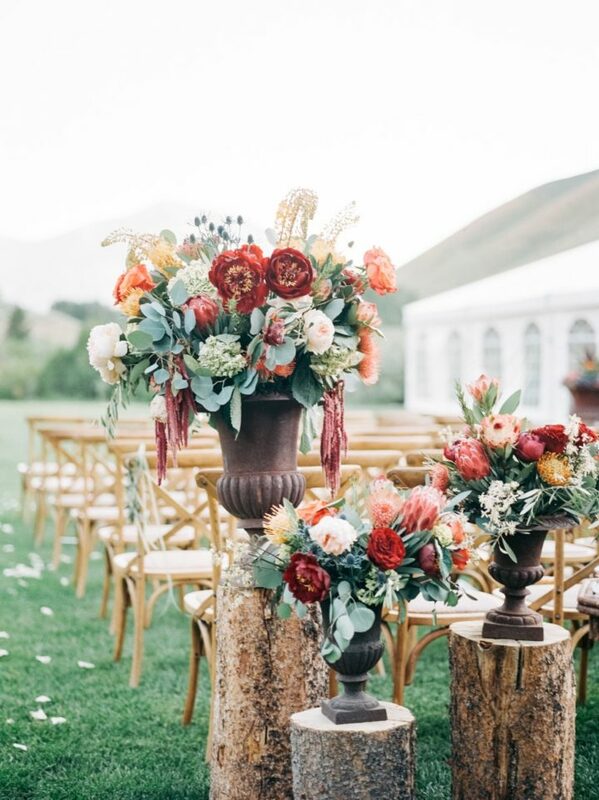 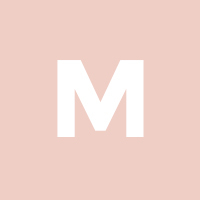 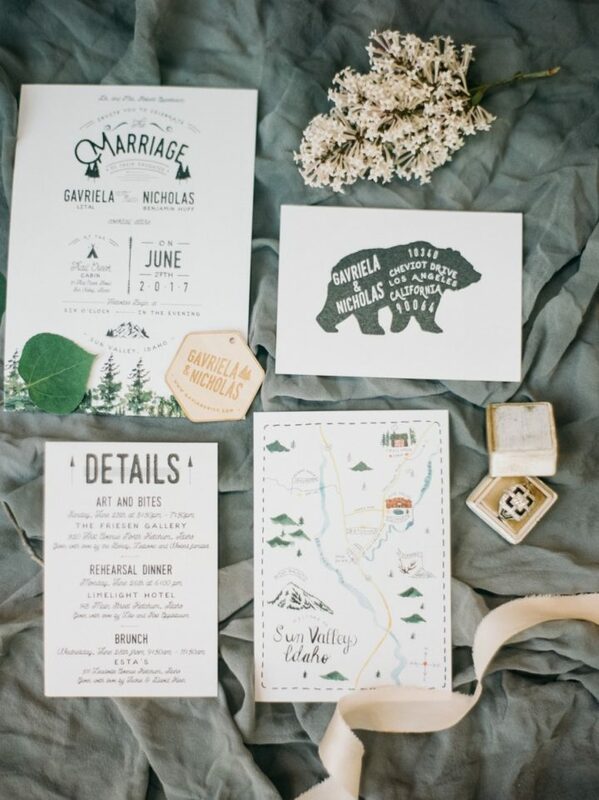 Keep scrolling for the breathtaking photos from this Sun Valley wedding!